We have made a name for ourselves by concentrating our efforts on the real estate industry. Our goal is to provide clients with an in-depth, hands on approach to every real estate transaction. Kipness Romano has demonstrated strong attention to detail from the initial call to the signing of our leases for our US business. They are reliable, professional and accessible, exhibiting high levels of integrity and quality in their work. Kipness Romano have been our attorneys for over 10 years. They are always professional, reliable and understand our business needs. 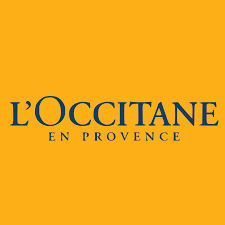 All of us at L'Occitane enjoy working with their team and think of them as a valued business partner. Kipness Romano have done lease review work for me at my past company Solstice and I have brought them over to Godiva to do similar work here. They are excellent at assuring that our best interests are protected in the leases they review and they have a wonderful, professional relationship with the people here at Godiva and the landlords we negotiate with. I have worked with Rob and his team of expert retail real estate attorneys for over 8 years. The service provided by Kipness Romano is second to none. The attorneys are all professionals and experts in the industry with intense lease negotiation experience. Rob and his team get the job done and done well, they also happen to be a pleasure to deal with! I have known Rob for many years and strongly feel his experience and expertise in commercial real estate law (and leasing) would prove extremely valuable to any retail or real estate company. Rob is highly skilled, as are those in his firm (many of whom I've worked directly over the years). Happy to discuss further upon request. I have worked closely with Rob and his firm in the past and I would unequivocally recommend his services. Rob and his staff combine both legal and business priorities in order to get leases negotiated quickly, satisfying business goals while still protecting their clients from potential legal risks. While my current organization has its own in-house legal team, Rob’s firm is always top of mind when we need outsourced assistance. Kipness Romano is one of the most knowledgeable Real Estate Law Firms in the industry. 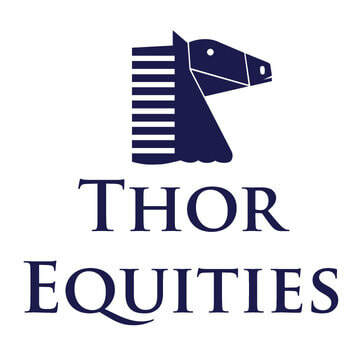 They have in-depth expertise in all types of deals, whether it be high streets, full price, outlet, or lifestyle centers. Robert and his team have great relationships with the REITs as well as private developers. This allows them to quickly turnaround documents with a high rate of success on critical deal points for us. I would highly recommend the firm and each of the associates, and would not hesitate to hire Robert and his team in the future. As a retailer, I relied on Rob’s legal and business expertise for many years. He is an outstanding attorney with a passion for retail real estate that is second to none. His recommendations and guidance with regard to legal positions always take into account his thorough understanding of the business objectives of the deal. Rob and his firm are extremely responsive and efficient. I would highly recommend Rob and his firm to any retailer or developer looking to hire a real estate attorney. I have worked with Robert and his staff on a number of deals including some complex downtown deals that dealt with a project that was broken into 3 separate condos with an REA document. His team was able to work with difficult attorneys on the other side of the table to get the job done. His work is thorough and he always adjusted his schedule to meet deal deadlines. I would work with Robert again and recommend him to others.